Safeway grocery store, in itself, is a feast for the senses. The store is lit just the perfect amount, so it's relaxes you and puts you in a good mood. Everything is perfectly decorated. The fresh baked goods smell so good that they are impossible to resist, and I was really impressed with the prices too. When I was recently at Safeway, I picked up a bunch of different things, including flowers for a friend (which she loved). I also got some goodies from the bakery section, two veggie trays and some Gevalia coffee for my nephew's birthday party. The convenience of Safeway and the great prices on a variety of items make it easy to host a party whether it’s big or small. In my family, whenever it's time for dessert, it's also time for coffee. At the birthday party, we had cake, krispie treats, cookies and Gevalia coffee. My mother-in-law was the one who first introduced me to the Gevalia brand. Did you know that Gevalia began brewing coffee in Gavle, Sweden in 1853? This is where traditional cast-iron roasting developed its distinctively rich, smooth taste that’s never bitter. That must explain why it tastes so good! I'm a flavored-coffee-kind-of-girl. For regular morning coffee, we usually don't do flavored coffee, but whenever I get to choose something special, I always lean towards a flavor. 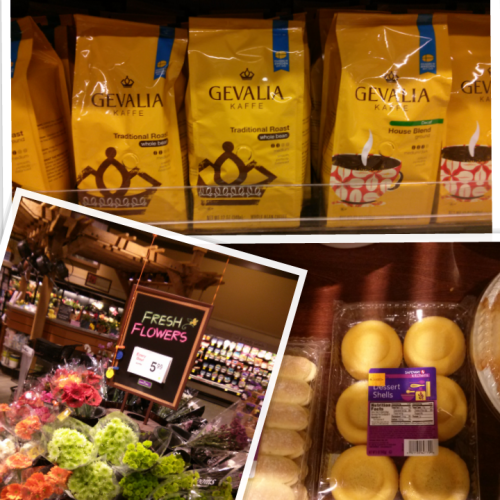 The Gevalia vanilla coffee is really nice and rich. It also comes in a variety of flavors and roasts, most of which are available at Safeway. Everyone at the party really enjoyed the coffee. It was the perfect compliment to the treats from Safeway, and it gave me more energy for the rest of the night. Do your family parties always include a pot of coffee too? What are your family traditions?